Todays wine industry is characterized by regional differences not only in the wines themselves but also in the business models by which these wines are produced, marketed, and distributed. In Old World countries such as France, Spain, and Italy, small family vineyards and cooperative wineries abound. In New World regions like the United States and Australia, the industry is dominated by a handful of very large producers. 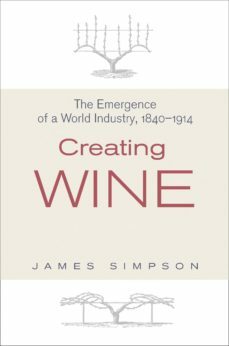 This is the first book to trace the economic and historical forces that gave rise to very distinctive regional approaches to creating wine.James Simpson shows how the wine industry was transformed in the decades leading up to the First World War. Population growth, rising wages, and the railways all contributed to soaring European consumption even as many vineyards were decimated by the vine disease phylloxera. At the same time, new technologies led to a major shift in production away from Europes traditional winemaking regions. Small family producers in Europe developed institutions such as regional appellations and cooperatives to protect their commercial interests as large integrated companies built new markets in America and elsewhere. Simpson examines how Old and New World producers employed diverging strategies to adapt to the changing global wine industry.Creating Wine includes chapters on Europes cheap commodity wine industry; the markets for sherry, port, claret, and champagne; and the new wine industries in California, Australia, and Argentina.